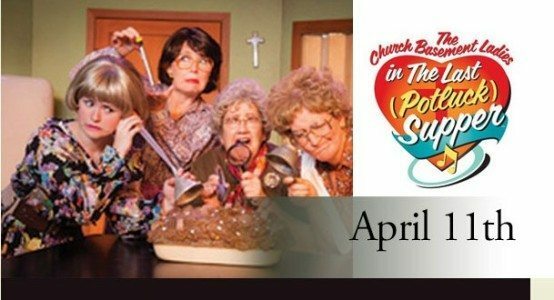 Don’t miss your chance to see the fifth and final installment of the hilarious Church Basement Ladies series: The Last (Potluck) Supper! The year is 1979 and past parishioners have gathered to share hot dishes, bars, and stories from the last 100 years. As the women work in the kitchen, shared memories burst into life through a series of flashbacks and the ladies manage to serve up a rib-tickling panorama of the changes in the kitchen, without spilling a drop of coffee! DINING OPTION available at 12:30pm ($15) for the 2pm performance. Menu and ticket information is available on our website.